10 - Coast Guard Helicopter transfer from Mayo to Dublin Beaumont. 23 - 00:00. 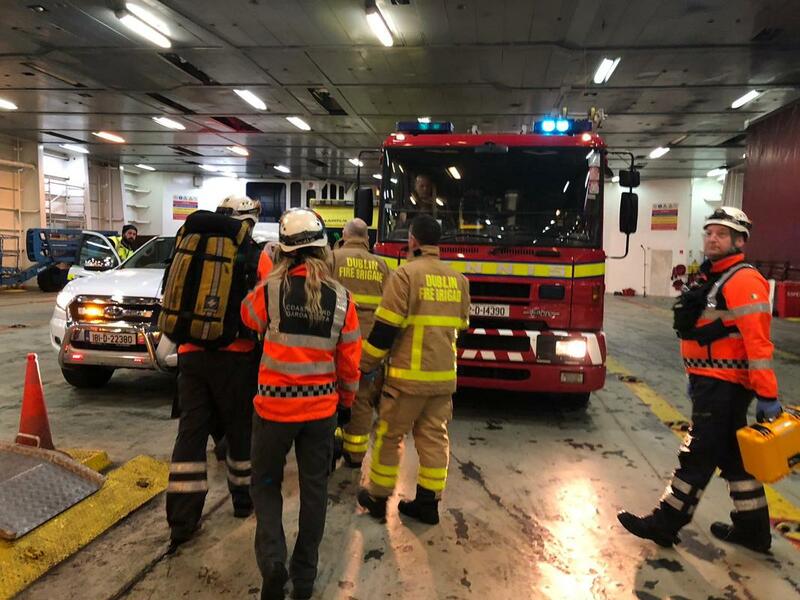 #63/18 – Casualty on board Stena Sealink Ferry at Dublin Port. Assistance needed with transfer to ambulance. 2 - 12:00 #64/18 - R116 inbound with Urgent Medical transfer of child to Temple Street hospital. Landing at Beaumont. Site cleared and casualty transferred to NAS amublance. 11 - 12:00. #57/18 – Person in the water Alfie Byrne Road, Clontarf. Person recovered. 15 - 17:00 #58/18 – Check on boat stuck on Lobster pots - Howth. 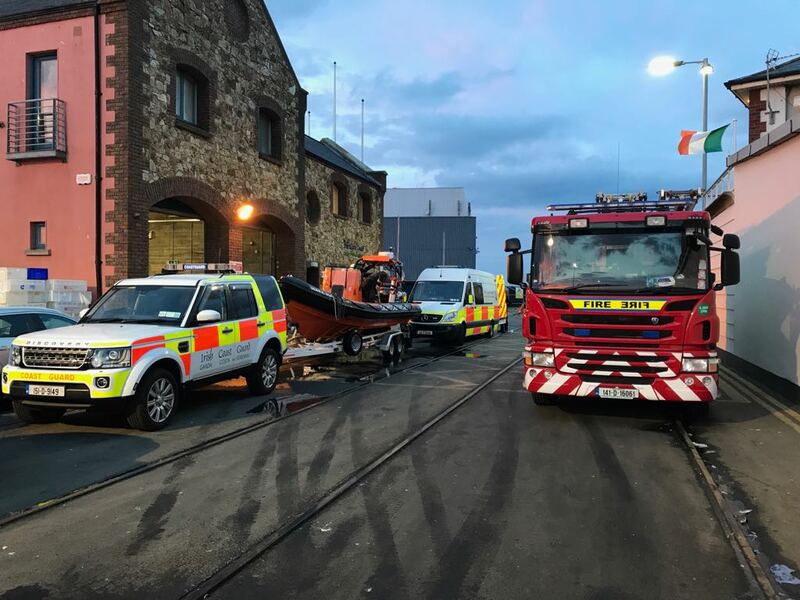 RNLI recovered boat to Malahide. 16 - 18:00. #59/18 – Tasked to check out report of people stuck at Balscadden. False Alarm Good Intent. 10 - 19:00. 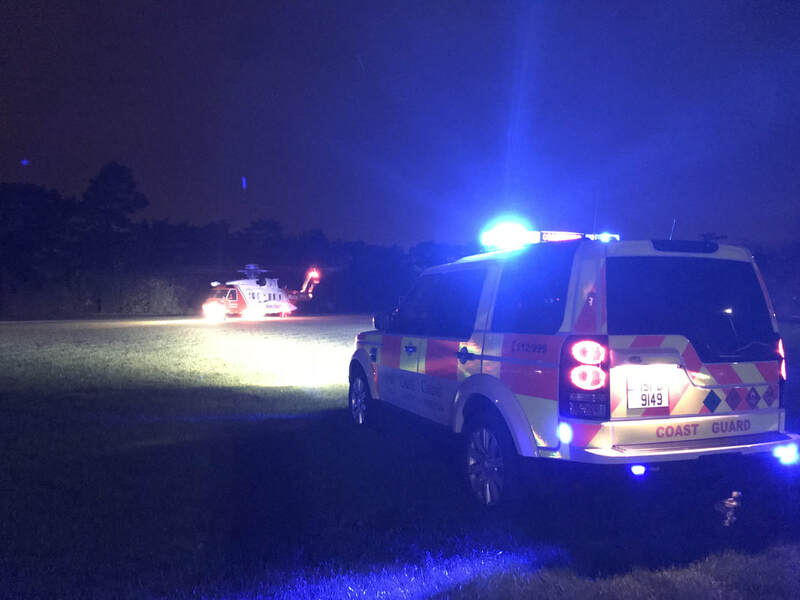 #60/18 – Temple Street Hospital Heli Landing - Dublin R116 inbound from Monaghan - Site cleared and casualty transferred. NAS, DFB. 13 - 13:00. 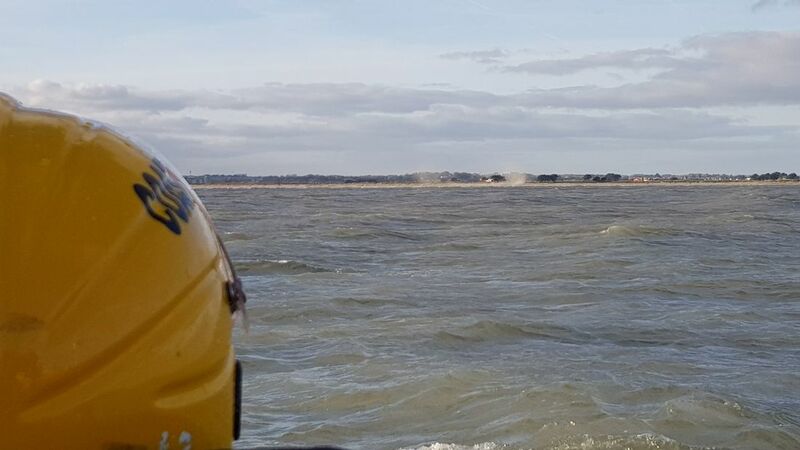 #61/18 – Report of swimmer in difficulty – Malahide. False Alarm Good Intent. 18 – 08:00 #62/18 – Pollution Report Howth Harbour. 31- 20:00. #53/18 – Assist National Ambulance Service with casualty at Red Rock. 26 - 19:00. #56/18 – Beaumont Hospital Heli Landing - Dublin R116 inbound from Castlebar - Site cleared and casualty transferred. NAS, DFB. 10th 21:00. 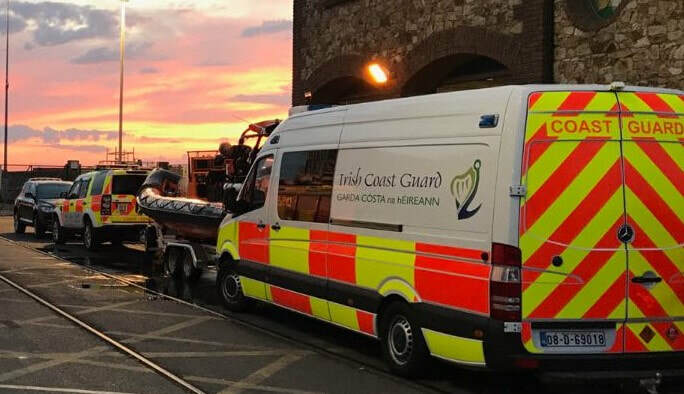 #49/18 – Medical assistance to faller in Howth Harbour. w/ NAS, DFB. 23rd 20:00. #50/18 – Missing Person. Located while team were mobilising. 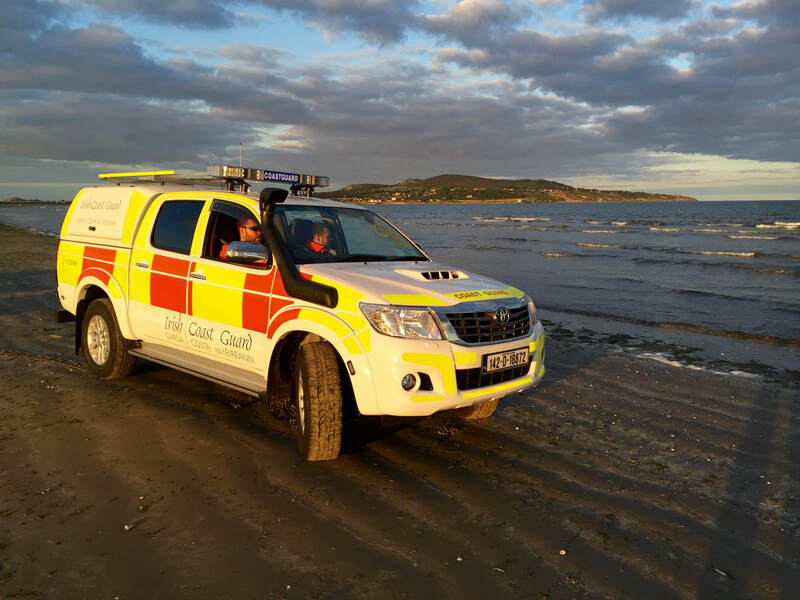 ​37/18 – Request for assistance from National Ambulance Service with casualty on Dollymount Beach. 38/18 – Coast Guard Helicopter landing at Beaumont Hospital. 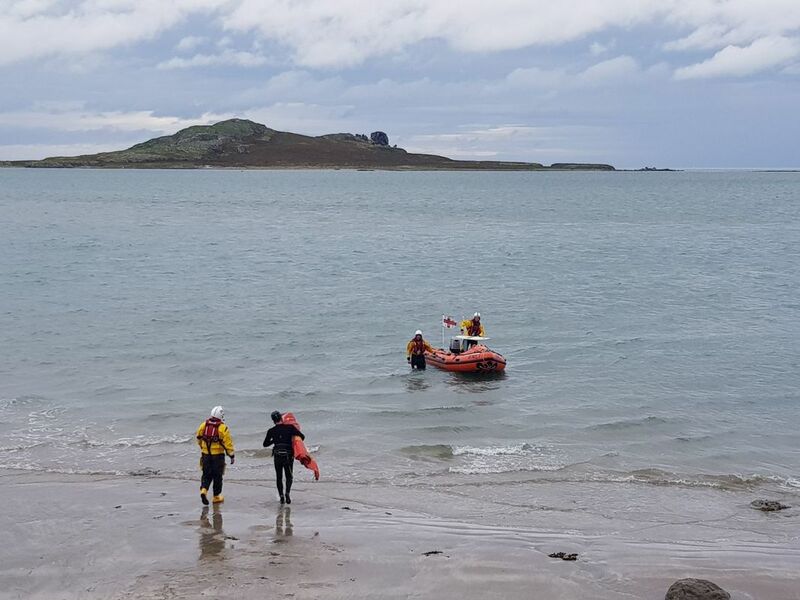 39/18 – Casualty on rocks in Howth assisted to ambulance. 40/18 – Coast Guard Helicopter landing at Beaumont Hospital. 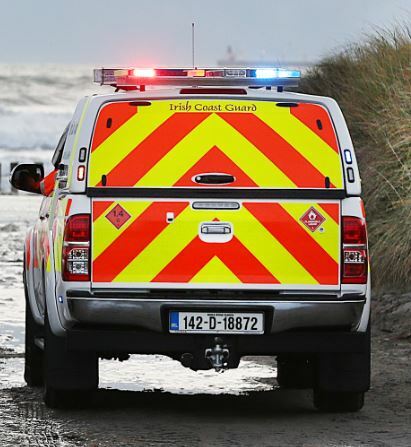 41/18 – Concern for swimmer at Dollymount. Medical assistance provided. 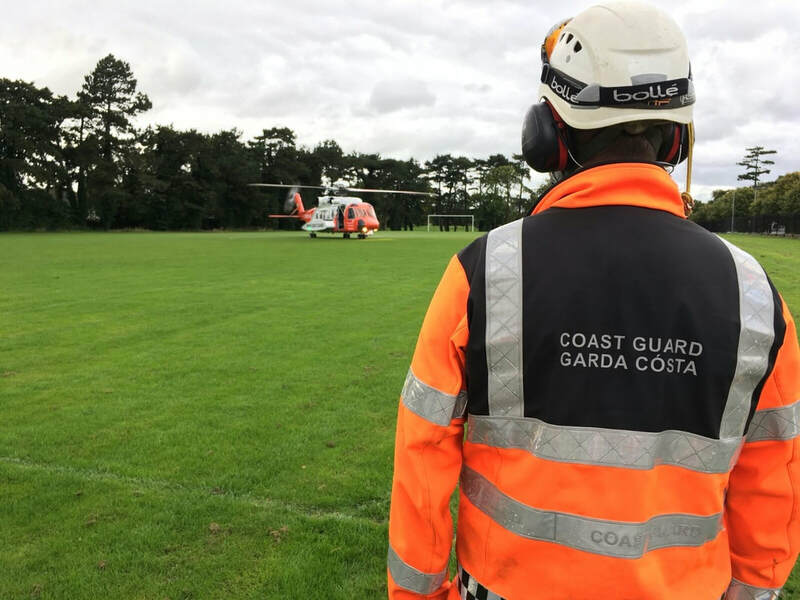 42/18 – Missing Child at Portmarnock Beach. Child Located. 43/18 – Car recovered from sand at Dollymount Beach. 44/18 – Car recovered from sand at Dollymount Beach. 45/18 – Unconscious Swimmer at Claremont Beach. Full Resuscitation achieved. 46/18 – Swimmer under water at Burrow Beach. Rescued, treated and transported to hospital. 47/18 – Missing Child Portmarnock Beach. Located by R116 and reunited with parents. 48/18 – EPIRB Activation. False Alarm. Details: Check on Kayakers Person on Cliff Path needing medical assistance. Outcome: False Alarm Good Intentions. 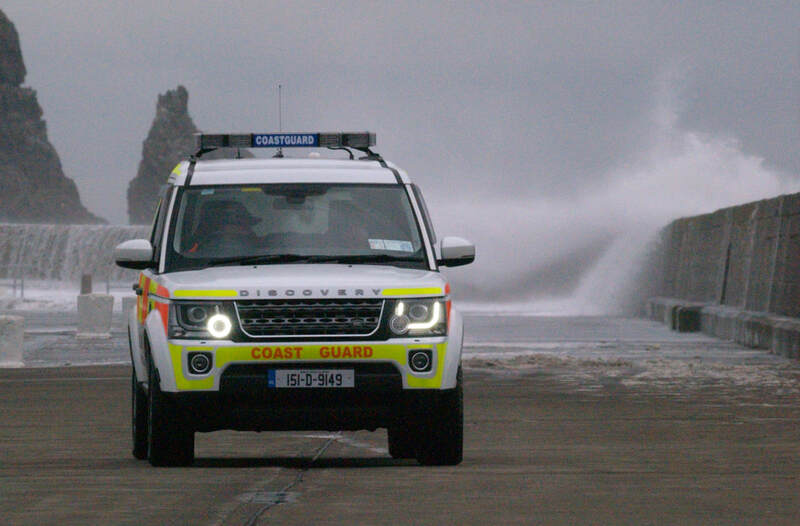 Assets Tasked: CGU IRT (Howth), Beach Lifeguards. Details: Child with foot injury in forest. Outcome: Casualty recovered safely to Car Park. Details: Concern for member of public on beach. Outcome: Kayaker returned safely to shore. Details: Person on Cliff Path needing medical assistance. Outcome: Casualty transferred via CG Jeep to DFB ambulance. Details: Report of person in difficulty in the water. Outcome: Casualties brought shore by ILB. Outcome: Casualty transferred to NAS ambulance for onward journey to Temple Street Hospital. Details: Person on Beach needing medical assistance. Outcome: Person located during search. Details: Flashing Lights – Possible distress signal. Outcome: Boat and crew towed to safety. Outcome: Kayak was recovered by ALB, believed to have been in the water for some time. Outcome: Car recovered from sand. Outcome: Public Advised of danger. Outcome: Public Advised of dangers. Outcome: False Alarm, Good intent. ​The Unit attending the following storm related incidents in the last week. Watch was maintained at the station for three days during the storm. Road Traffic Collusion, Howth Village. Dublin Fire Brigade(DFB) medics transported and patient transferred in CG jeep to DFB Ambulance. Hospital Staff transported to Coombe Maternity Hospital. Report of damage to Yachts in Howth Marina. Concern for public in danger of breaking waves at high tide– East Pier. Member of the public reported an Object Adrift offshore. CG Boat recovered to shore. Location: Cliff Path, Howth Head. Assets Tasked: CGU (Howth), CG R116 (Dublin), RNLI ILB (Howth), AGS (Howth). 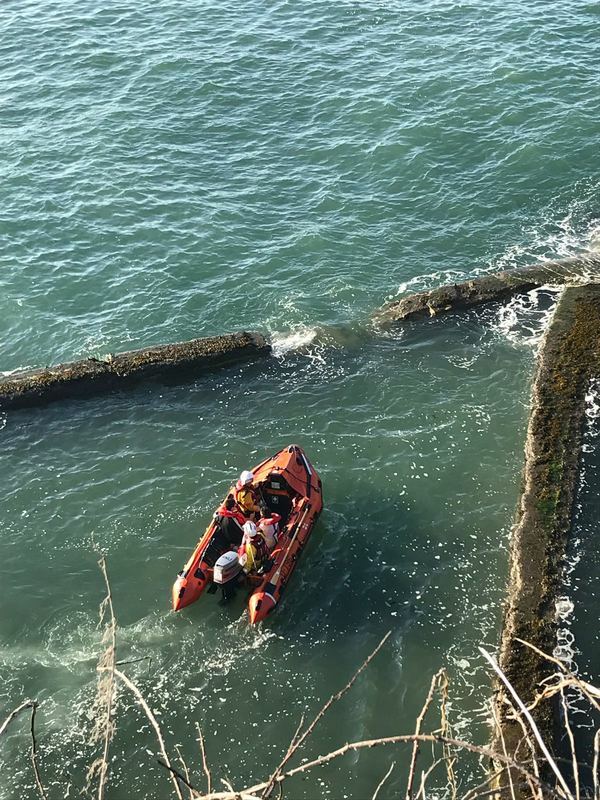 Outcome: In a joint RNLI and Coast Guard operation the body was transferred to the inshore lifeboat. Rest in Peace. Details: Request from AGS to assist with Cardiac Arrest. Outcome: Personnel from CG assisted DFB paramedics with resuscitation. Sadly the person died at the scene, Rest in Peace. Event: Personnel attended a joint ECAS/ Coast Guard stand at the BT Young Scientist & Technology Exhibition at the RDS. Event: Presentation on Water Safety made to TY students from local area at Howth Yacht Club. Exercise: Two hikers recovered by stretcher from path in Deer Park. Details: Car entered the Water. 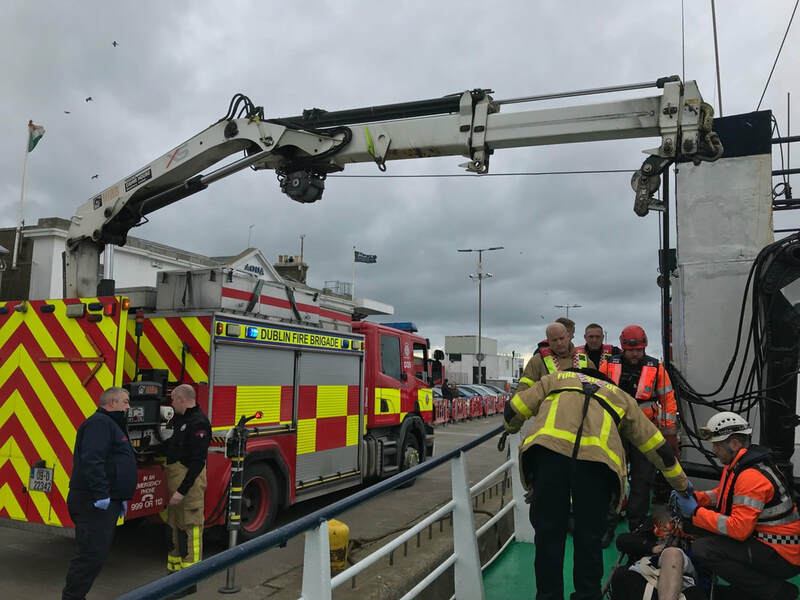 Assets Tasked: CGU (Howth), CG R116 (Dublin), RNLI ILB (Howth), Dublin Fire Brigade, NAS, AGS, Garda Water Unit, Harbour Authorities. 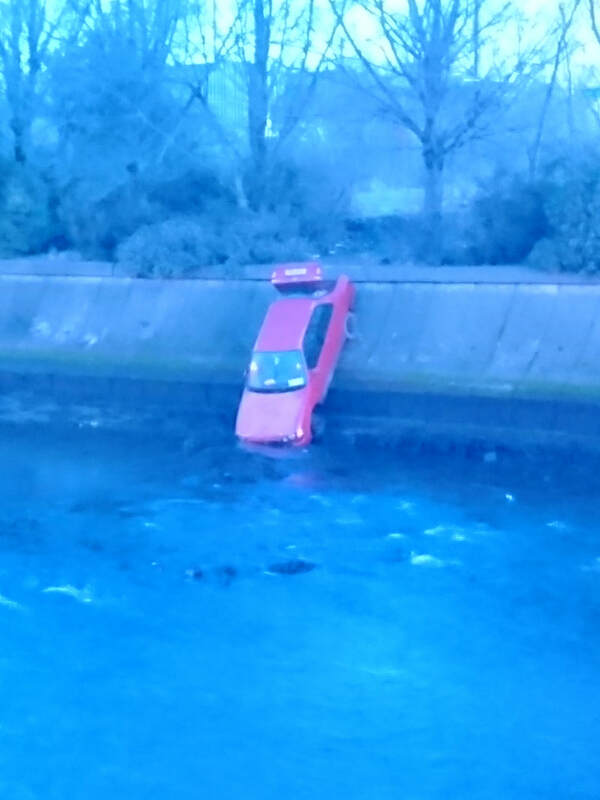 Outcome: Car was removed from the water and a body recovered. Rest in Peace. Thanks to Howth Yacht Club for their support during the incident. Outcome: Person transferred to ambulance. Details: Report of waves breaking on walkers. Outcome: Public advised of dangers, watch maintained until tide dropped. 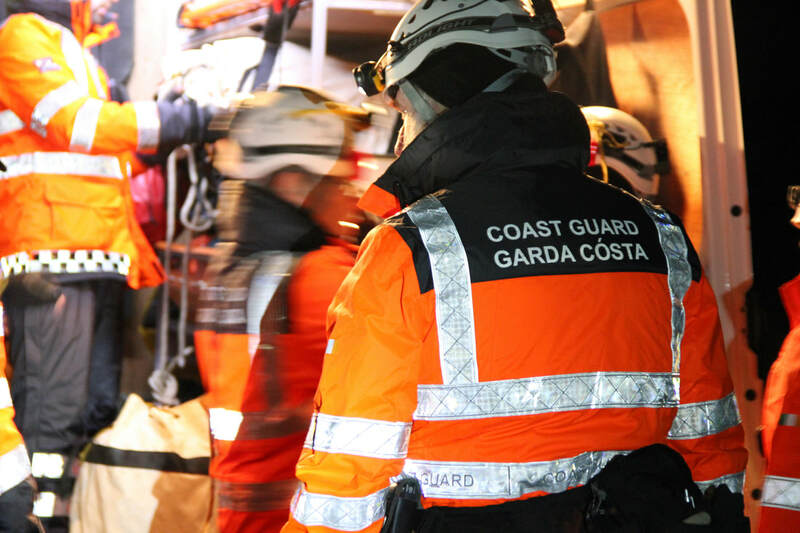 Outcome: Swimmer taken to hospital by CG Rescue 116. Details: Report of person in difficulty off coast. Location: Howth Rd/ Kilbarrack Rd junction. Outcome: Member of the public assisted the person ashore, treated by DFB and CG personnel before being transferred to hospital. Well done to the member of the public who assisted the person safely ashore. Outcome: Report passed to CG Co-ord centre. Outcome: Dog recovered to shore by RNLI inshore LB. Outcome: Person located and assisted to safety. Outcome: Stood down on route. 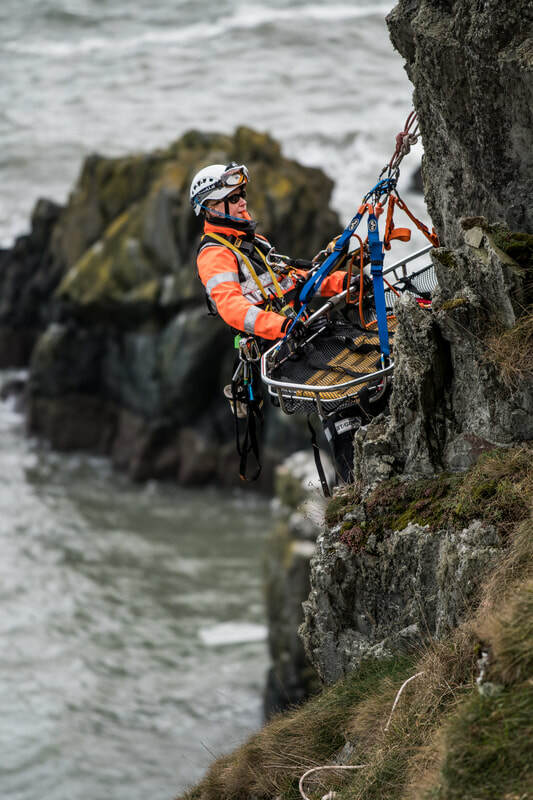 Exercise: Cliff Rescue Training – Baily Lighthouse. Details: Report of boat in difficulty in Malahide Estuary. Details: Flare sighting – Howth. Outcome: No vessels in difficulty noted. Possibly malicious firing of flares. Tree removed from road – Raheny. Details: Concern for public walking East Pier during storm conditions. Outcome: CG personnel maintained watch and advised public of dangers until tide dropped. Outcome: Helicopter inbound with patient. Site secured for landing and take off. Details: Concern from member of the public for group of people on Cliffs at Balscadden, Howth Head. Outcome: Unit investigated and met the group making their way back to cliff path. Details: Concern for Kite Surfer – Dollymount Beach. Outcome: Unit investigated, KS returned to shore safely. Exercise: Cliff Rescue Training - Howth Head. Outcome: Unit investigated, Paddle Boarder returned safely to shore. 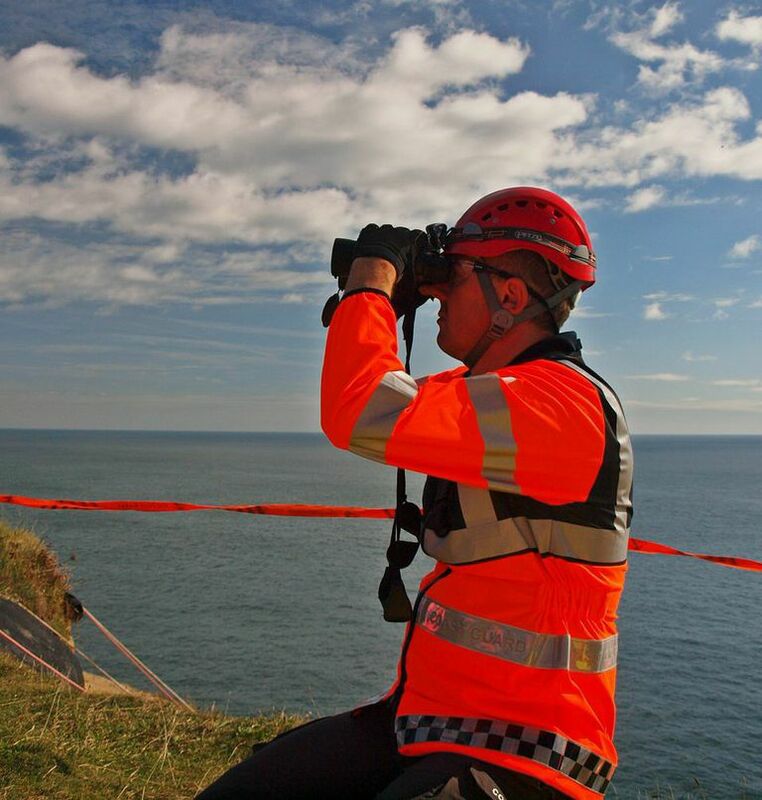 Search Team – Missing Person Scenario & Casualty Evacuation – Howth Cliffs. 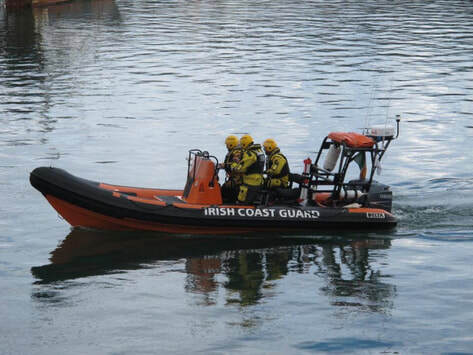 Boat – Close Maneuver Training within Howth Harbour. Details: Car spotted off Cliff Path in precarious position. Outcome: Unit attended. False alarm, good intentions. Linked to incident 77/17. Details: Investigate Seal in Distress, local request by member of public. Details: Kite Surfer in Difficulty. Request for assistance on scene from Dublin Fire Brigade. Outcome: KS self recovered to the beach. Details: Fisherman suffered knee injury on trawler. 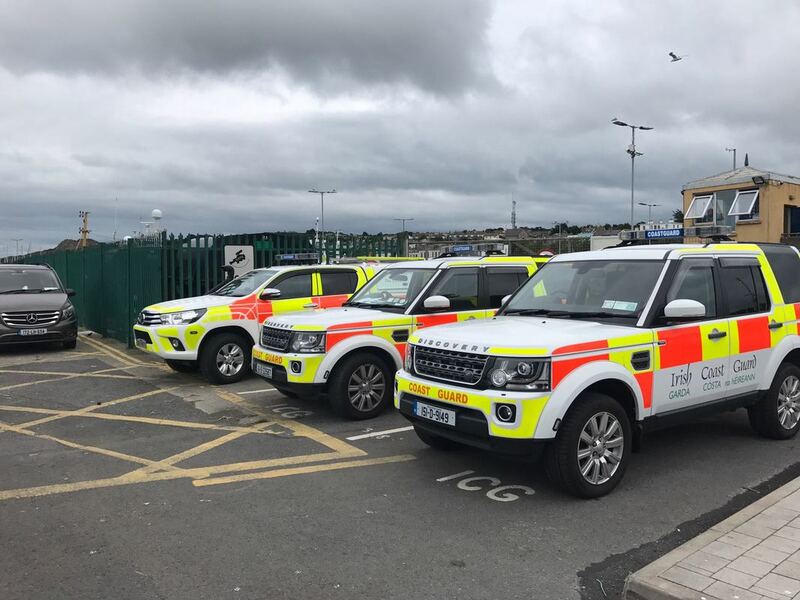 Assets Tasked: CG IRT (Howth), DFB. Outcome: DFB and CG personnel treated casualty and evacuated to waiting ambulance. Outcome: Unit attended. False alarm, good intentions. Details: Report of yacht requiring assistance with Navigation - Dublin Bay. Outcome: CG crew boarded yacht and brought it safely to Dun Laoghaire harbour. CG personnel reminded the skipper about navigation rules at sea and safety awareness. Details: Car left upper Cliff road, driver trapped on cliffs. Outcome: Full Cliff team call out. Driver was assisted to safety. DFB ambulance transferred to hospital. Details: Report of yacht requiring assistance with Navigation - Dublin Port. Outcome: Yacht moved to safe position within Dublin Port.